Rockland County MLS – What is the Rockland County MLS? How do I list my home For Sale By Owner in Rockland County? What is the Rockland County MLS and how can I list my property on the MLS for a flat fee? 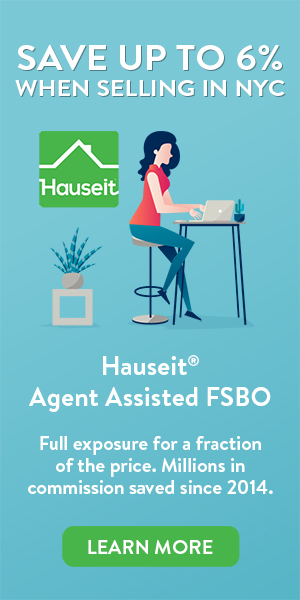 The Rockland County MLS is the Hudson Gateway MLS, which is the primary Multiple Listing Service in the Hudson Valley and is operated and wholly owned by the Hudson Gateway Association of Realtors. Orange, Putnam, Rockland and Westchester Counties are core zones for the Hudson Gateway Multiple Listing Service, otherwise known as the HGMLS. *Going forward, when we mention the Rockland County MLS, please understand that it is synonymous with the HGMLS. What kind of listings does the Rockland County MLS accept? The Rockland County MLS only accepts Exclusive Right to Sell or Exclusive Agency Listing Agreements. Open listings or listings without a written agreement are definitely not allowed. Although the HGMLS offers a template Exclusive Right to Sell Listing Agreement, Realtors are free to use an agreement of their own choosing. The staff at the HGMLS simply want to ensure that Realtors actually have a right to list a property and that they are offering some form of compensation to fellow Realtors. 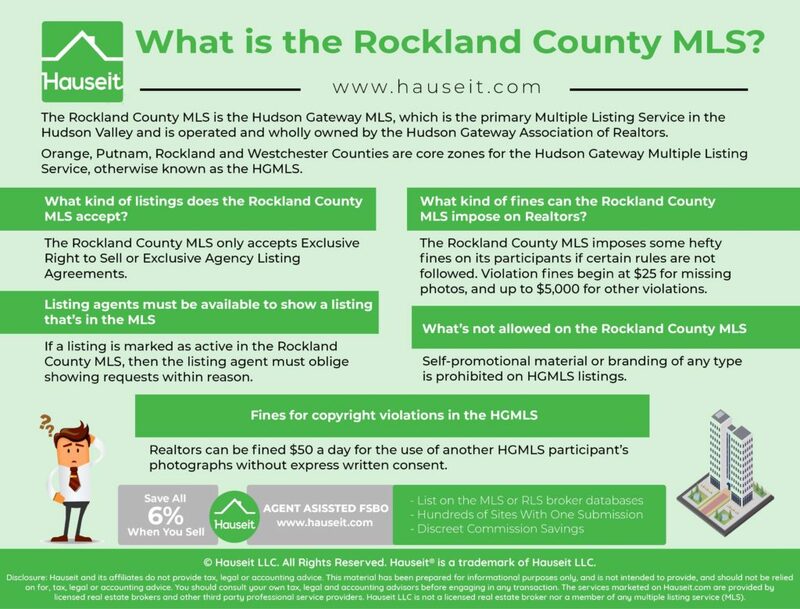 What kind of fines can the Rockland County MLS impose on Realtors? The Rockland County MLS imposes some hefty fines on its participants if certain rules are not followed. These fines are automatic in some cases. For example, listing agreements must be uploaded within 24 hours of “all necessary signatures being obtained,” or subject to an automatic fine. Weekends and holidays do not matter, Realtors literally have 24 hours to upload the listing agreement after they’ve posted an exclusive sale listing! Furthermore, at least one photograph must be uploaded onto a listing within 72 hours. You can upload up to 30 photographs onto a HGMLS listing, but they require at least one photo or the listing Realtor will be fined. Violation fines begin at $25 for missing photos, and up to $5,000 for other violations. The Rockland County MLS actually has a system that scans all listings automatically and daily to see if any information doesn’t look right and for inappropriate language. Furthermore, it’s very easy for Realtors to police themselves and report each other to the HGMLS staff. Note: This chart is not meant to be comprehensive, but rather it is presented for illustrative purposes. HGMLS members have access to the comprehensive Rules and Regulations through their member portal. Pro Tip: People in the HGMLS Compliance Department are friendly, so just reply to their email quickly saying that you will fix it, and then fix your violations within 24 to 48 hours. Being nice, replying ASAP and asking kindly whether they can waive the fine will go a long way! If a listing is marked as active in the Rockland County MLS, then the listing agent must oblige showing requests within reason. It’s understandable if the owner only wants showings to occur at certain hours, or if there are tenants there that make showings difficult, but listing brokers can be fined if they give the impression that they are not showing a property on purpose so they can find a direct buyer. Essentially, if a listing is marked as active and the listing Realtor keeps refusing to show it after multiple requests by a buyer’s agent, the buyer’s agent can go ahead and report the listing broker to be fined! If a listing broker is having trouble getting access to the property they’ve advertised, they can either fill out an Owner’s Instruction to Discontinue Showings form or just list the property as Temporarily Off Market. If a listing broker legitimately can’t get access to their own listing for a day or two, that’s acceptable. However, if the seller will be going on vacation for a week, then the listing’s Realtor should set the listing to Temporarily Off Market. Pro Tip: Days on Market in the Rockland County MLS and the HGMLS is counted starting from the day a listing is active to the day it is changed to contract status. Self-promotional material or branding of any type is prohibited on HGMLS listings. That means the listing description, photos or virtual tours cannot have any phone numbers, email addresses, names, websites or logos of any type. Even open house information is now allowed in the property description of HGMLS listings. The fine for putting self-promotional material or branding on a HGMLS listing is $500 for the first violation, and up to $5,000. 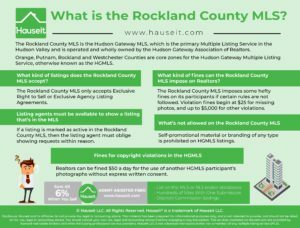 When listing photographs are uploaded into the Rockland County MLS, the copyright for the photographs automatically go to the listing Realtor’s brokerage. The brokerage owns any photographs that have been listed by its agents. Therefore, owners must be very careful about giving property photographs to their listing broker to use. Have you ever given these same photos to another agent to use? If so, then it’s very likely that you can’t use them if they’ve already been uploaded before into the HGMLS! Realtors can be fined $50 a day for the use of another HGMLS participant’s photographs without express written consent. If you’ve purchased a Hudson Gateway flat fee MLS listing that means this and any other fines levied by the HGMLS will be passed directly onto you! Please take this lesson to heart and do not give our partner brokers photographs which you do not solely have ownership rights to. Pro Tip: Professional photographs are the smallest yet most effective investment you can make in your home sale. For the small sum of a few hundred dollars, you’ll have digitally re-touched photographs taken by a professional who will show your home off in its best light. Please check out our professional photography packages before you decide to list your home! Sullivan County MLS – What is the Sullivan County NY MLS? Do Real Estate Agents Split Commission? Orange County MLS – What is the Orange County MLS?